More help is below the table if you don't see your NETGEAR device listed here, the listed default data doesn't work, you need help changing the password once in, or have other questions. These NETGEAR switches have default IP addresses that are assigned via DHCP, meaning that the IP address will be different depending on the network the switches are installed on, information that you can get by checking the dynamic IP address that the DHCP server (often times the router on the network) has assigned to it. The IP address listed next to some of the DHCP-assigned default IP addresses in the table above are the default IP addresses if and only if there is no DHCP device on the network or there was an issue assigning an IP. The NETGEAR FSM726 network switch comes in three hardware versions. Version 1 & 2 both have a default password of 1234 while version 3 does not require a default password at all (i.e., leave it blank) and has a backup default IP of 169.254.100.100 if there's no automatic assignment by a DHCP server. 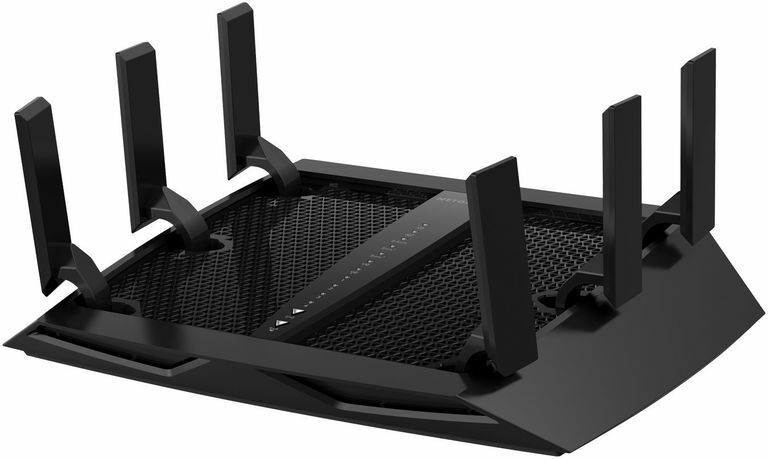 NETGEAR RP614 routers come in several hardware versions. Versions 1, 2, and 3 all have the default IP address of 192.168.0.1 while version 4 and later all have the default IP of 192.168.1.1. Versions 1, 2, 3, 4, and 5 of the NETGEAR WGR614 router have a default IP address of 192.168.0.1. Versions 6 and later have the default IP address of 192.168.1.1. WGT624 routers manufactured with hardware version 1 or 2 have a default IP address of 192.168.0.1 while editions with version 3 or later have a default IP of 192.168.1.1. Please let me know if you don't see your NETGEAR router, switch, or other network device listed in the table above. I'd be happy to send you the default data I find and then get it added to the list. First Things First: Change Your NETGEAR Default Password! It's kind of nice that you got in to your NETGEAR router or switch with the default data but keep in mind, as you may have suddenly realized looking at the table above, this information is all public! That means that anyone could have accessed your NETGEAR device all this time, made whatever changes he or she wanted, including injecting some clever malware, among other damage. So, first thing on your to-do list now is to change that default password to something much harder to guess by anyone other than you. How Do I Change My Network Device's Password? The only course of action when the NETGEAR default password for your device is no longer the configured password, is to reset your device to factory defaults. On most NETGEAR routers, the factory reset process is pretty simple. Using a pen or a paperclip end, press and hold the red Restore Factory Settings button, found on the bottom of your router. Do this when the router is powered on and keep it pressed in for 10 seconds, or until the power light starts to blink. Once you release the button, your NETGEAR device will restart automatically. After the power light turns solid white or green, your device is reset and back up and running, now with the default password listed above for your model. If that process doesn't work, you'll need to reference the PDF manual for your specific NETGEAR router, available from NETGEAR Support. A factory reset also resets the IP address to the default you'll find for your model in the table above. Another option is to try http://www.routerlogin.com or http://www.routerlogin.net, two addresses that only work, assuming they do at all, on your local network and only on your NETGEAR device. Orbi NETGEAR routers use http://orbilogin.com or http://orbilogin.net. If you're still not having any luck, see our How to Find the Default Gateway IP Address tutorial, which shows you how to determine what the default gateway on your network is, which also happens to almost always be the IP address for your router. Have more questions about NETGEAR default passwords or default network data in general? Check out our Default Password FAQ for more.